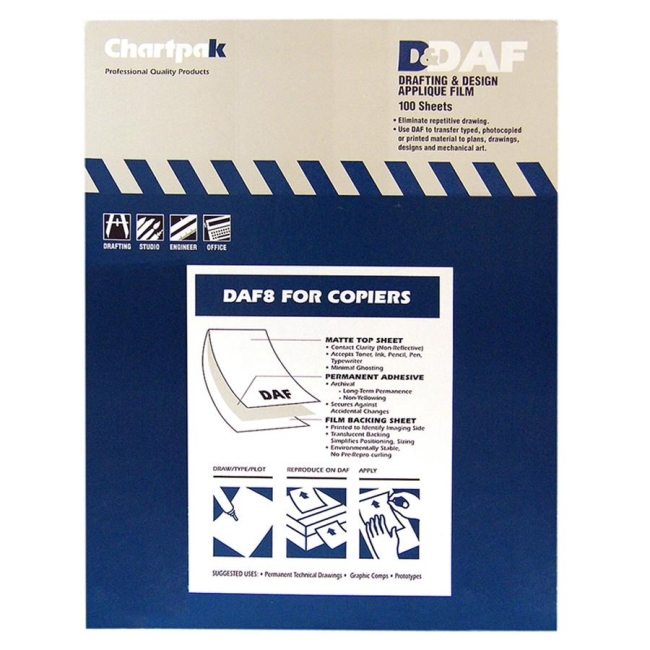 Size : Letter 8.50" x 11"
This 1.5 mil drafting applique film with matte finish helps save time when any application needs to be drafted or drawn multiple times. The matte surface gives top-quality images using copiers, laser printers, computer printers, typewriters, pencil or ink. Ideal for diazo reproduction. Polyester drafting film will not yellow with age. Use with copiers and printers.